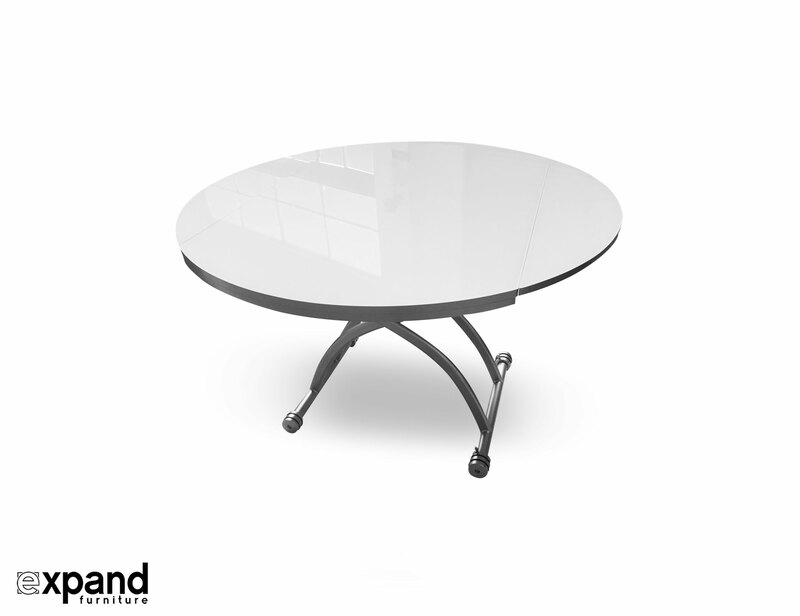 This Chord starts as a rectangular glass coffee table that lifts and converts into a round glass dining table with a hidden drop leaf on either side. 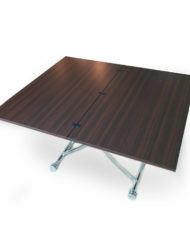 Side leaves fold up or down and the gas lift adjusts the height of the table. 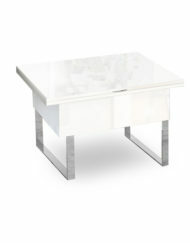 Built with a wood base with a top layer in white glass, black glass or a walnut wood top. 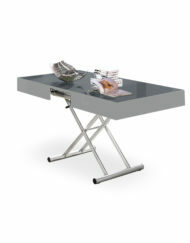 Built with mobile wheels so you can move this table around your home. 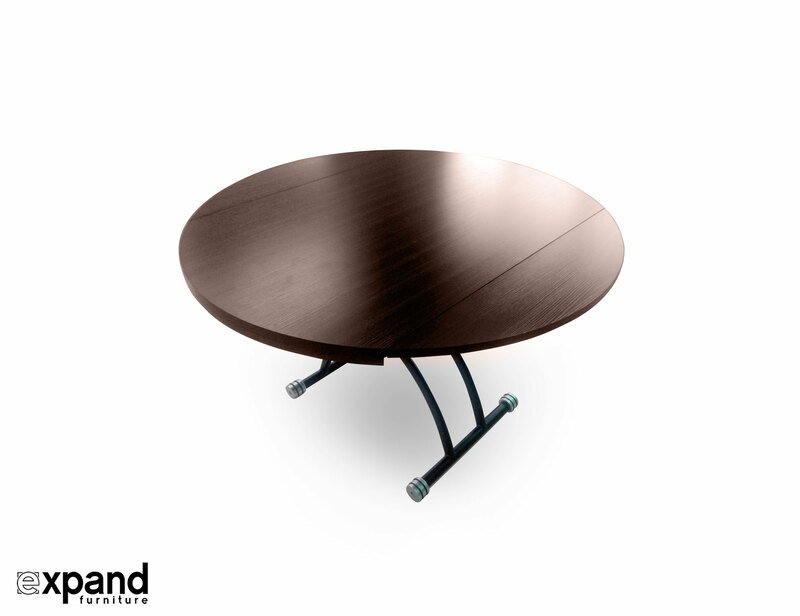 Watch the video below to view the Chord Table transition into a round form. 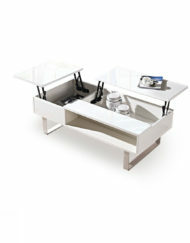 This is an ideal space saving table design for small apartments. 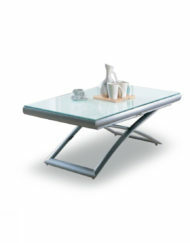 The Chord expanding glass dining table saves extra space by hiding as a coffee table in your living room and functions at multiple heights for convenience. 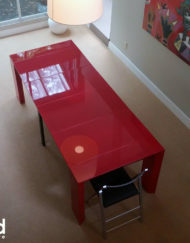 The drop leafs tuck all the way underneath so they are not visible. 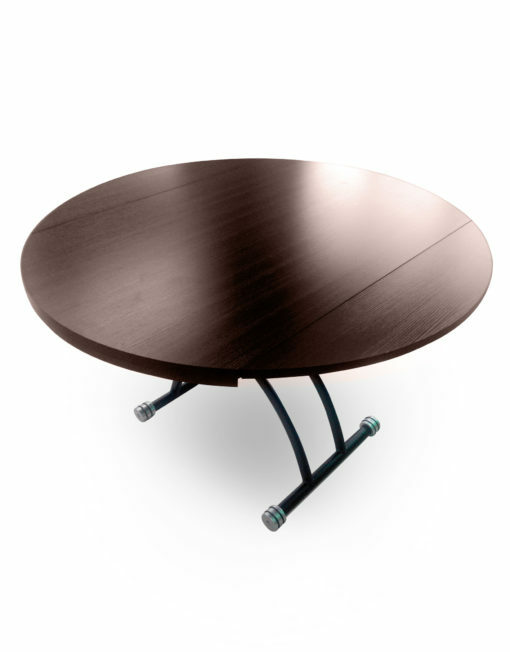 You can also use this as a low profile round coffee table as well as a round dining table, it’s completely adjustable to your needs. 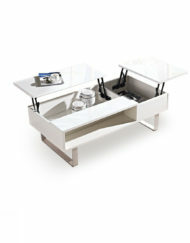 Don’t forget to check out our rectangular wooden transformable coffee table as well! 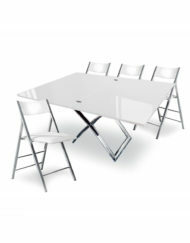 Looking for a space saving table solution? 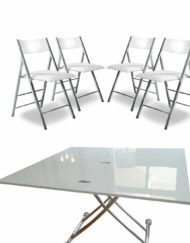 A round table is already a very good solution for practical seating arrangements. However we can do better. 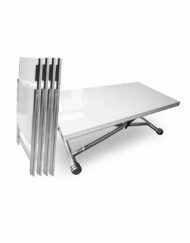 Add in height adjustable function through a lift mechanism with a low profile of 42.5cm. 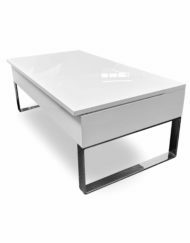 Drop down leaves to make the table more compact or larger and a stylish white glass or black glass top that looks bright and is easy to clean. 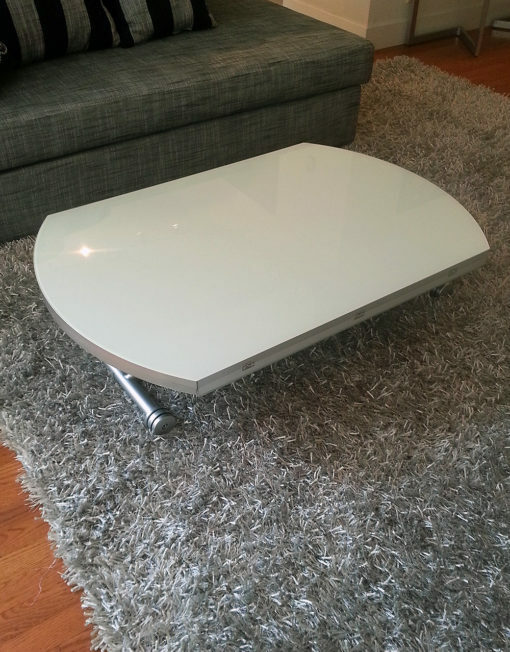 This will look stunning as a low profile round glass coffee table, or drop down the leaves and have a compact rectangular like coffee table in glass. 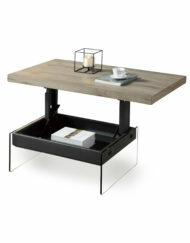 Built in wheels easily move this unit from a living room into a dining room. 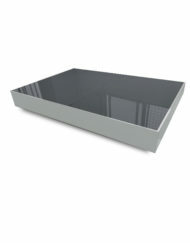 Move it as a coffee table easily around the living room for convenience. 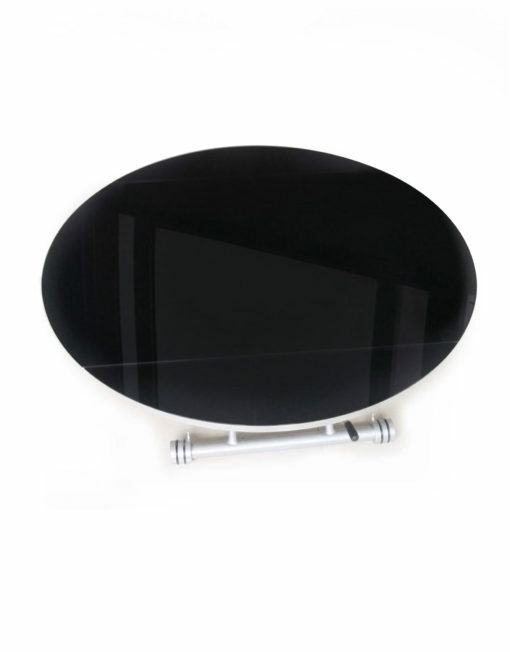 The wheels can lock in place. Raise it to lap level in the lounge for snack height. 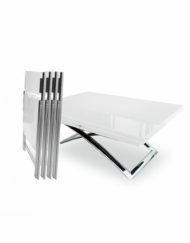 Incredibly adaptive, this table will open up space in any home. 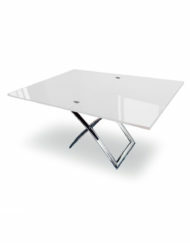 You can stop this table at any height between 11 and 30 inches, whether it is in a rectangular or round form. Now with even quicker shipping ~ 7-10 days worldwide. Fully insured for safe delivery. Use a mild cleaning agent and soft cloth to wipe down surfaces. 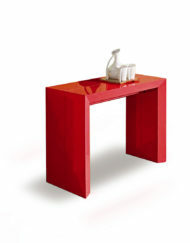 Do not use harsh chemicals or abrasive materials. 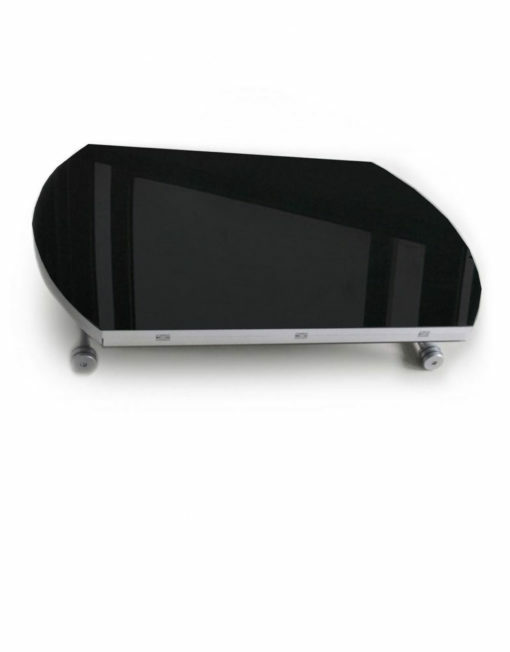 Black glass or White Glass with silver metal legs + silver & wheels. 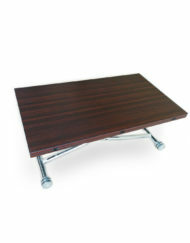 Walnut top with Black painted legs + Silver wheels. 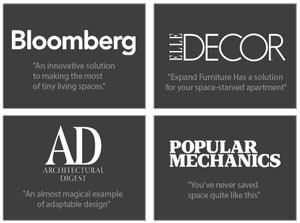 Shop for Space Saving Tables Online. 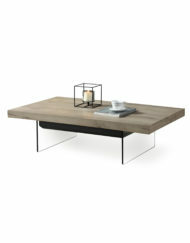 This table is totally handsome and functional. 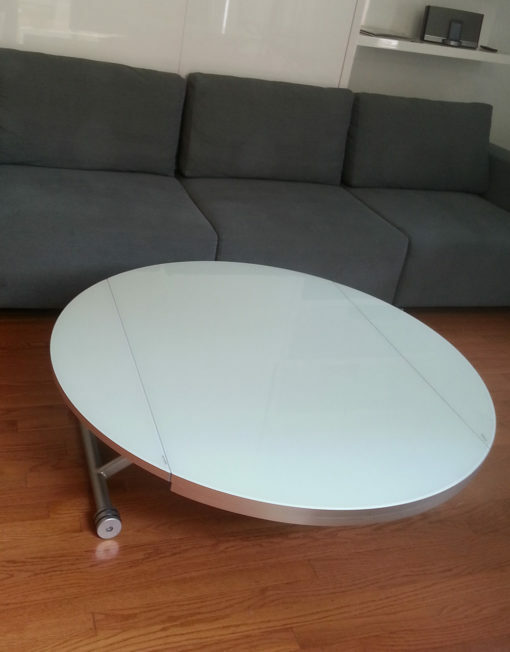 In its current state it is our entertainment centre, but we have meals on it as well as drinks with guests when it is reduced to the coffee table mode. 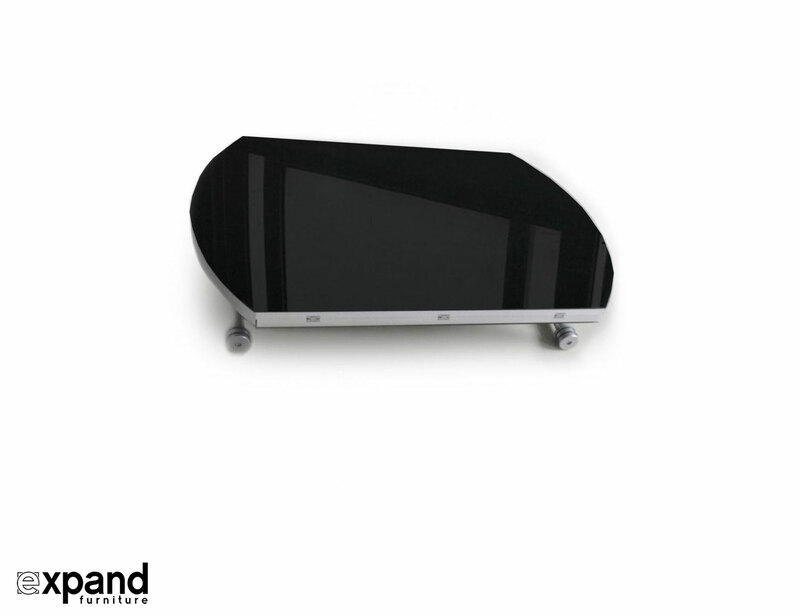 See the equally functional and handsome Ludivico off to the right! 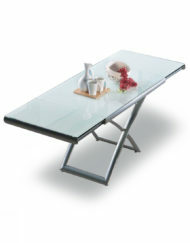 Modern lines, very friendly user coffee to dining table. 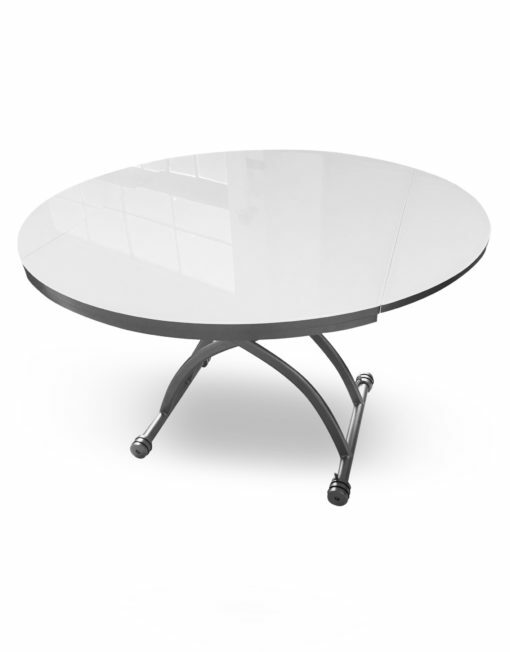 We have had the Round Lift table in black for two years, and it's been a wonderful addition to our home. 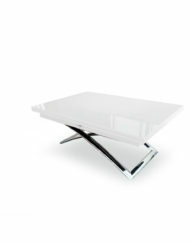 This convertible table is so easy to change from coffee table to dining table height (or any height in-between). 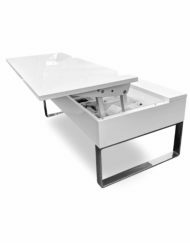 If, like us, you have a small room where you like to watch tv, but also want to use that room for meals, then this is a terrific, space-saving answer. 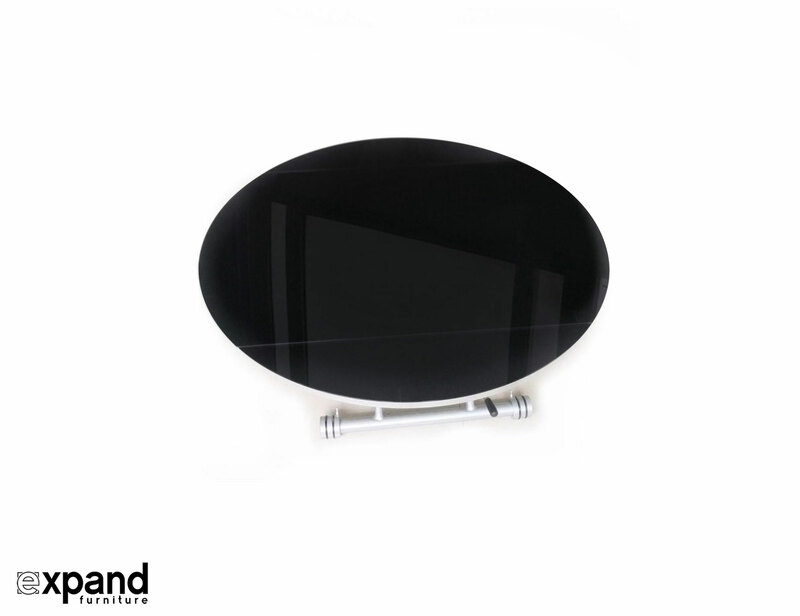 The easy, quiet lever changes heights in seconds, and the glass table-top is easy to clean. 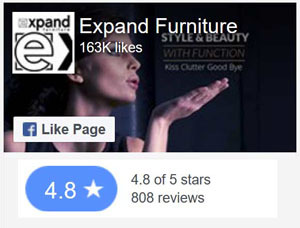 I highly recommend this table and the helpful customer service people at Expand. 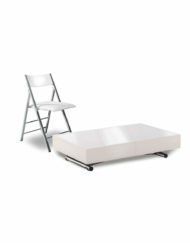 Sturdy, easy to operate. 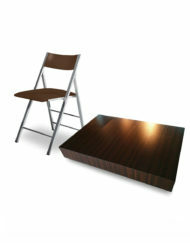 We will use it for extra seating when the entire family is over for dinner. It will grow with the grandkids.